Tiger Rolls for Daily Punt Readers At 50/1! It’s been a tough year for the Monday column on the tipping front but last week’s Tuesday selection One Style won at Hereford and Tiger Roll won the Grand National on Saturday. 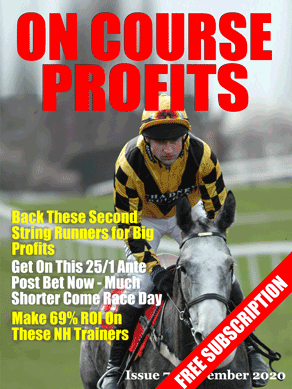 “At the moment I will be noting all horses 10-10 or higher in the weights in addition to those trends above. Looking at the horses who take my eye at the moment and they are both trained by Gordon Elliott. The first is the 8-year-old Tiger Roll who last season won the 3m Munster National and the 4m National Hunt Chase at the Cheltenham Festival. He isn’t the biggest horse in training but as he showed at Cheltenham if he gets in a good jumping rhythm he’s a really decent horse. At the 50/1 available with William Hill looks worth a modest each way bet at this stage”. Hopefully some of you followed me in.